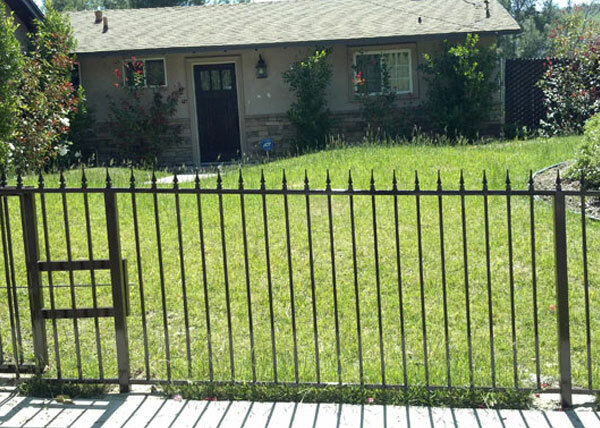 This residential iron fence in Los Angeles, CA is 4 ft tall and encompasses the perimeter of the home's front yard. 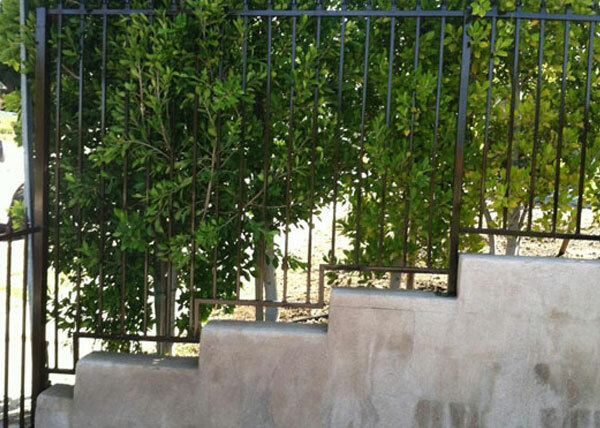 This basic iron fence in Reseda, CA features a step down pattern to follow the design of the concrete wall. 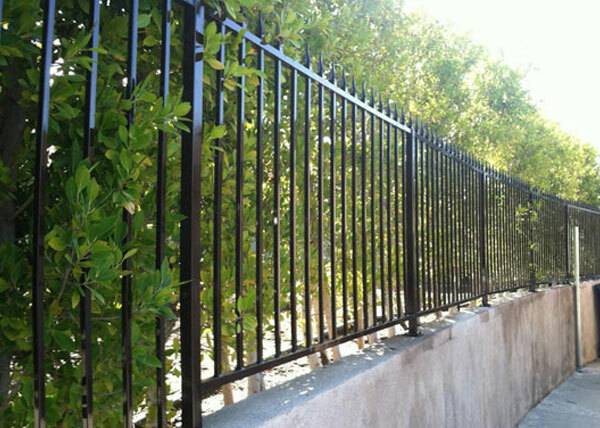 We installed this 42 inch tall iron decorative fence in West Hollywood, CA. The iron fence features a double top frame and decorative scrolls and was installed on top of a retaining block wall. 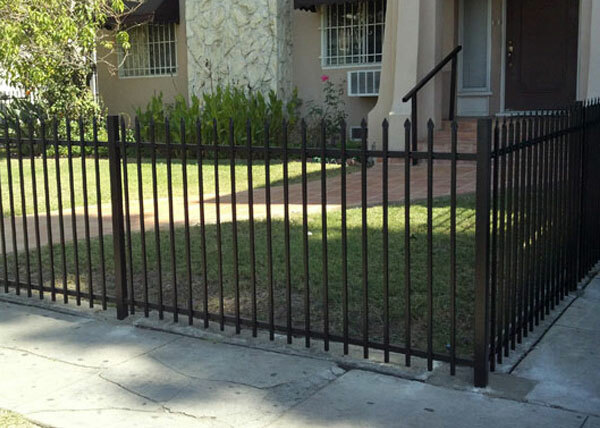 We installed this residential 4 ft tall iron fence in Los Angeles, CA. The iron fence was installed in the homeowner's front yard and features punch pressed spikes on top. 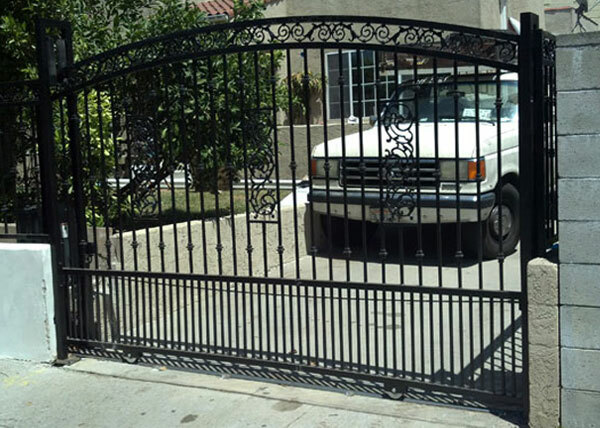 This is a double swing iron driveway gate in San Gabriel, CA. The iron gate features a double frame arched top with decorative circles and has a perforated screen to allow some privacy. 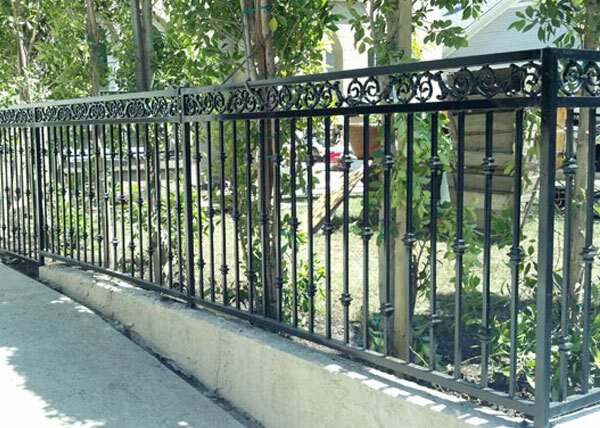 We installed this basic iron fence in Reseda, CA. The iron fence is 42 inches tall and installed on top of a retaining wall. Decorative spikes line the top of the iron fence for added aesthetics. 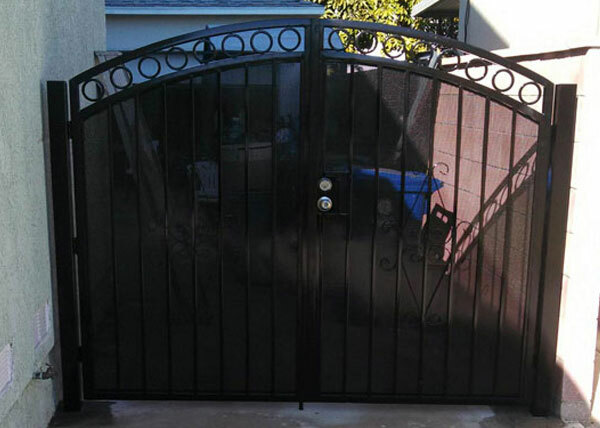 This double swing iron driveway gate in San Gabriel, CA has a scroll design and flat top. The bottom of the gate features closer spaced pickets for a dog safety design. 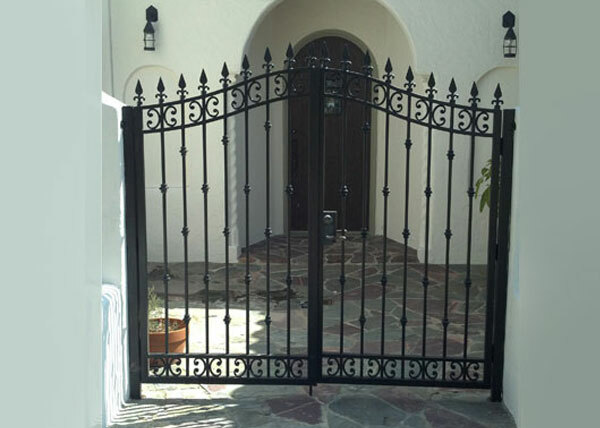 We installed this decorative iron gate in Los Angeles, CA. The steel entry gate is 6 ft tall and features a bell-shaped top. This double swing gate creates a beautiful entryway to this courtyard. 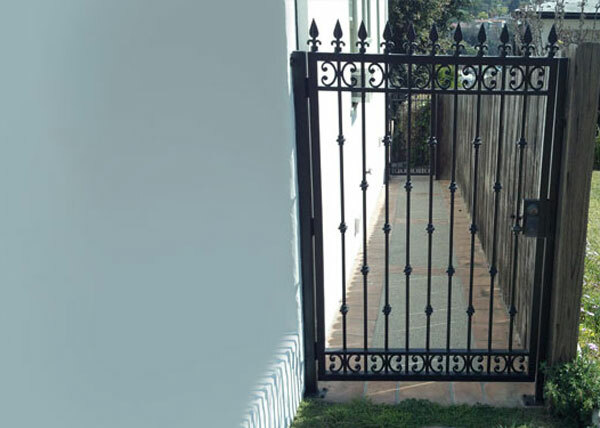 This residential iron walkway gate installation in Los Angeles, CA features a steel iron gate with decorative spikes on top. The homeowner needed to replace an old worn down gate and had us install this walkway gate for security and decor. 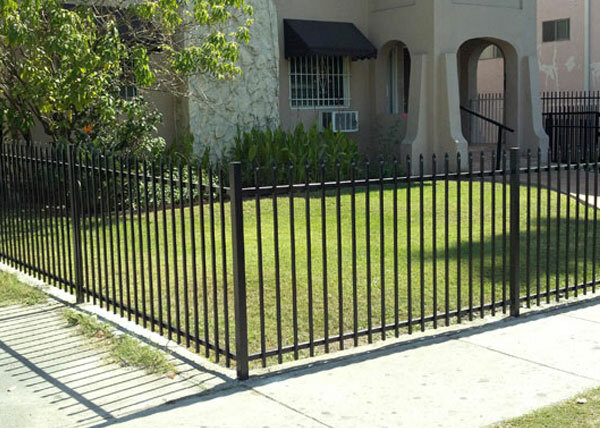 We installed this basic iron front yard fence for a homeowner. The fence is 4 ft tall and features decorative spikes on top. J&J Fence specifically designed the iron fence to follow the continuous slope of the sidewalk. 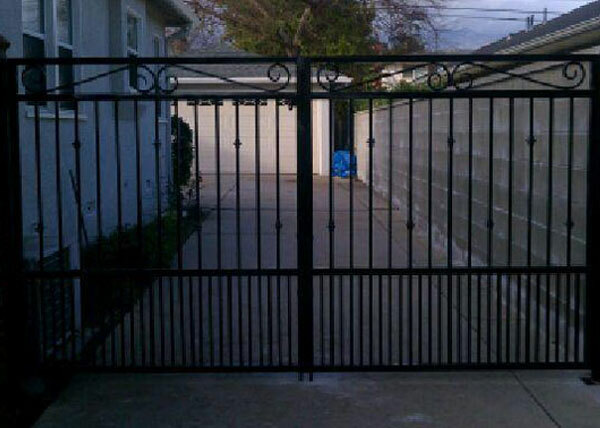 J&J Fence installed this single slide driveway gate in West Hollywood, CA. 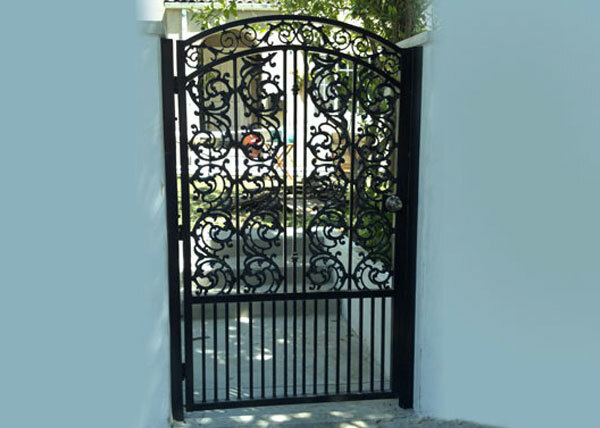 The residential iron driveway gate comes with a slide gate motor and features a double arched top frame with decorative scrolls. Closer spaced pickets at the bottom of the gate were added for the safety of the homeowner's dog. This decorative pedestrian gate features an arched top as well as an intricate scroll design. Closer spaced pickets at the bottom of the gate were designed for the homeowner's dog's safety. Call J&J Fence today to learn more about installing an iron fence at your Los Angeles County home. J and J Fencing was great. They are a family owned and operated business who show great pride in their work. I called and they were there quickly and on . . .